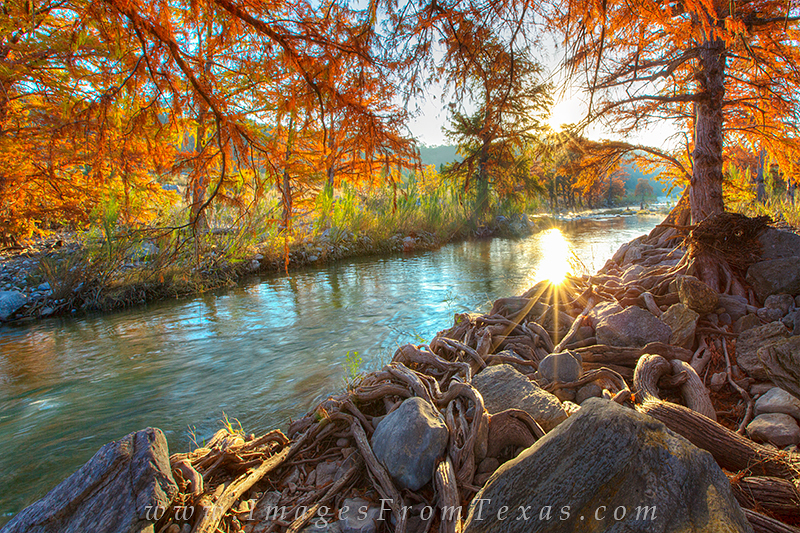 The cypress turn brilliant orange each November along the Pedernales River. This small riverbank in the local state park is one of my favorite places to capture the color and vibrance of the sunrise moment. With the twisted and gnarled roots of the trees reaching into the water, the mysgtery and beauty of the hill country come alive. Photo © copyright by Rob Greebon.